Real Madrid vs Manchester United Live Streaming: The International Champions Cup is currently being played in the United States of America. Today we have the fourth match day of the tournament with Real Madrid and Man United going head to head at the Levi’s Stadium. Man Utd have already played a game in the ICC 2017 whereas RMA will be playing their first. 24th July 2017 at 02:35 (IST). Real Madrid has let go some of the very important players as James Rodriguez was loaned off to Bayern Munich and Alvaro Morata has been sold to Chelsea. Danillo has also been sold to Manchester City. Pepe has gone to Besiktas on a free transfer and Fabio Coentrao has been loaned to Sporting CP. They have brought in two players as Theo Hernandez was sold by Atletico Madrid and Dani Ceballos has been sold by Real Betis. They recently gave the Number 10 to their one of the most consistent player and probably one of the best midfielders in the world Luka Modric. The last time these two teams played in the United States of America a record crowd came to the see the game. Manchester United manager Jose Mourinho has recently revealed that David de Gea is definitely not going anywhere and will remain at Man United. This has come after several rumors linking the United No 1 to a move back to his own country. Manchester United have been on point in this pre-season as they have won both their games. The first one against LA Galaxy and after that, they played against Manchester City and played their first ever Manchester derby on foreign soil. They were able to win the game by 2-0 as Rashford and Lukaku scored for United. 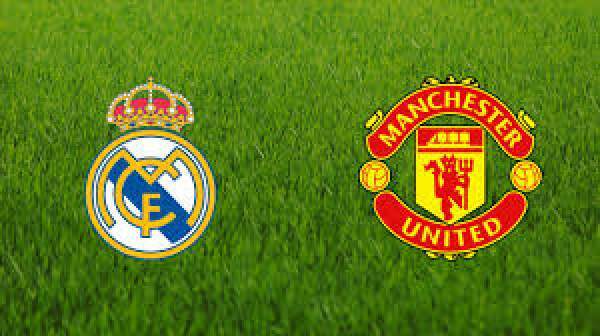 Come back for Real Madrid vs Manchester United result, highlights, scorecard, and much more. Stay tuned to TheReporterTimes for latest football news and sports updates around the world.